You and a guest are invited to an advance screening of The Miracle Season! Click here for your chance to download an admit-two pass to see the film on Wednesday, April 4 at 7pm in Salt Lake City! Seating in the theater is first-come, first-serve and is not guaranteed. Arrive early for ticket exchange and we’ll see you there! 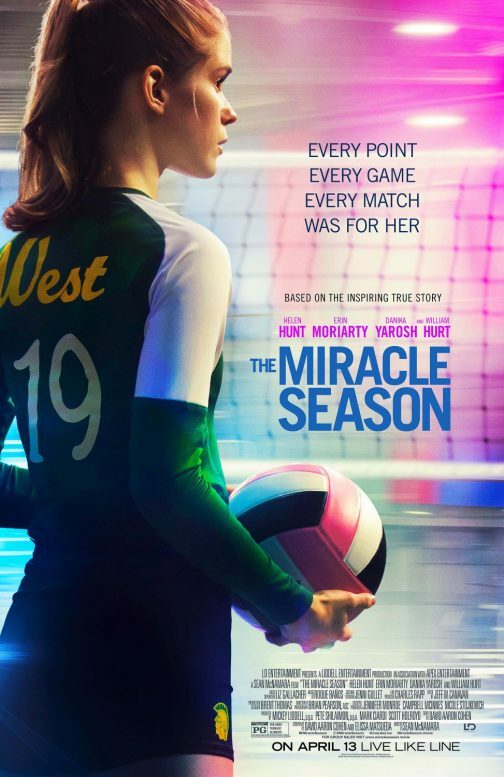 Synopsis: Based on the inspiring true story of West High School girls’ volleyball team, after the tragic death of the school’s star player Caroline “Line” Found, the remaining team players must band together under the guidance of their tough-love coach in hope of winning the state championship. The Miracle Season opens everywhere April 6.